Typically between 50 and 100 cm in length. The sides are typically a yellow or golden bronze brown in colour, but this does vary and may be affected by the conditions where the fish is found. The back is a greener brown. 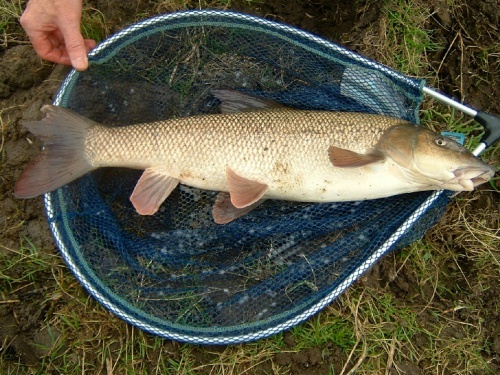 It has a very low mouth with barbels and is ideally suited for bottom feeding. The fish is ideally suited to fast flowing waters. It favours the middle reaches of clear rivers with stony or sandy beds. All year round but more commonly encountered in the warmer months. Widespread and fairly frequent in England, but less well recorded elsewhere in Britain. Uncommon in Leicestershire and Rutland where it is usually found only in the River Soar although it is also present in the River Anker just over the border in Warwickshire.